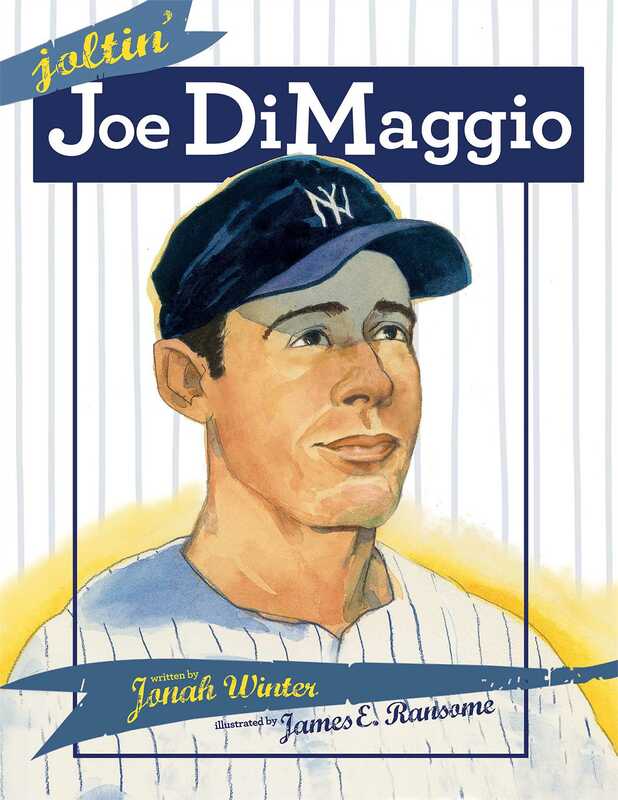 Bestselling author Jonah Winter and award-winning illustrator James E. Ransome knock it out of the park with this tribute to one of the greatest baseball players who ever lived, Joe DiMaggio. In the golden age of baseball, sports announcers ruled the radio, winning and losing was front-page news, and just about every young boy wanted to grow up to wear Yankee pinstripes, including Giuseppe Paolo DiMaggio, Jr., a first generation Italian from San Francisco. “Baseball is not a job,” said young Joe’s dad, but through hard work and dedication, Joe grew up to make headlines as a top centerfielder and ace hitter—Joltin’ Joe, the Yankee Clipper. And when the paychecks started rolling in and the newspaper reporters wouldn’t stop calling, you can bet Pop was mighty proud! During the Depression and WWII the country needed something to cheer for, and Joe was the star player who outshone the rest, even marrying movie star Marilyn Monroe—all by keeping his mouth shut and his eye on the ball.